Klinički učinci metoprolola kroz kardiovaskularni kontinuum. 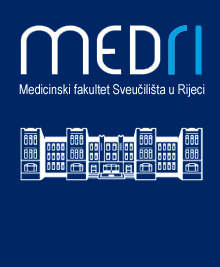 Naslov (hrvatski) Klinički učinci metoprolola kroz kardiovaskularni kontinuum. Naslov (engleski) Clinical Effects of Metoprolol Across the Cardiovascular Continuum. Beta-adrenergetic receptor antagonists cause positive effects across the whole cardiovascular continuum. Compared to non-selective beta-blockers, cardioselective beta-1 blockers have an advantage in patients in whom we wish to avoid beta-2 receptor blockade in the bronchi and peripheral blood vessels, in patients with bronchoobstructive and/or peripheral arterial disease. A negative impact on blood glucose homeostasis and erectile function is to be avoided by selective application. Metoprolol has been internationally known as widely applied and checked cardioselective betablocker for a long time. A series of clinical studies have clearly proved the therapeutic effect of metoprolol in the hypertension, acute and chronic types of coronary heart disease, postinfarction prophylaxis, heart arrhythmia and chronic heart failure syndrome. In all researches, metoprolol has showed good tolerance and safety. If taking proper doses and managing patients properly, the side-effects are rare and reversible. Today, metoprolol succinate is available in Croatia in the form with sustained absorption and gradual plasma clearance with a possibility of a one-day dosage which ensures stable concentration of the drug in the plasma and effects during a period of 24 hours. This is how a safer effect and better cooperation of a patient required for the success of the treatment is achieved.